Nowadays, if a ride isn’t shot on a POV camera, did it really happen? Here’s our guide to avoiding producing a shaky mess and instead producing a YouTube masterpiece that will be the envy of your mates. Just getting out and filming is great, but having a plan means you’ll have a better chance of getting the footage you’re after. Planning could be as simple as coming up with a theme for your film, right through to drawing up a complete storyboard. The more planning you do the easier it will be out on the trail but, as ever, be prepared to change things if the weather or trail conditions conspire to ruin your artistic vision. 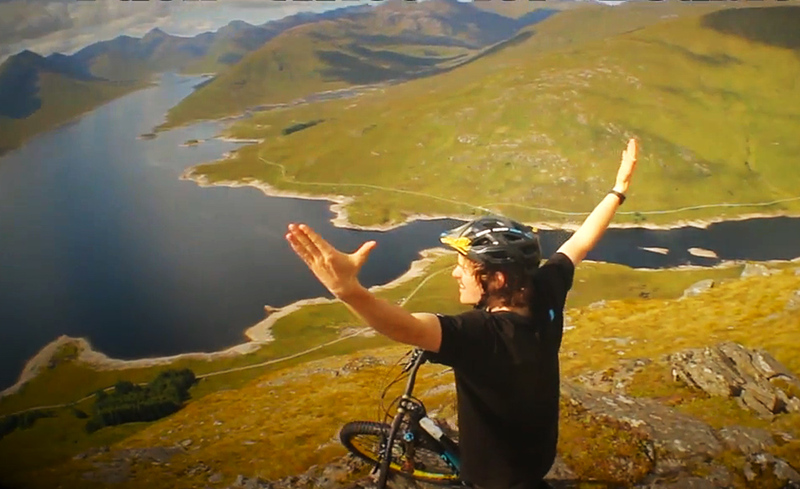 Read: Riding the Ridge – behind the scenes planning to make Danny MacAskill’s The Ridge a reality. Even a short film requires a lot more footage than you may think. Remember to keep the camera rolling well before and after the action to allow you to cut from one scene to the next smoothly. That said, the more footage you shoot the more you have to edit, so don’t go overboard. This is where your plan will help. Don’t forget, most compact cameras and smartphones will record video too. Combine this with your POV camera footage for multiple angles. Think about how you will put the clips together to ensure that there’s consistency throughout the movie and that the clips flow from one to the other logically. Try mixing up footage from various angles to keep things interesting. Every movie needs a soundtrack, but to add music to your movie you’ll need to use either licence-free music, pay for a licence to use your favourite track, or crack out the trumpet and jazz flute and create your own. Have a mountain bike movie night, get your mates round, watch a few bike movies then premiere your own masterpiece. Once you’ve suitably impressed them it’s time to show the world. Upload your movie to YouTube or Vimeo so you can send links and allow people to embed the videos in their own websites and further share your creation. Here’s one of ours, and don’t forget to share yours with us too! Think about camera angles; no one wants to see eight minutes of helmet cam footage so vary where you mount the camera. This could be on yourself, on your bike, next to the side of the trail or on a washing line through the trees for your very own follow-cam. A Gorillapod will give you more options for on-bike and side-of-trail camera angles, especially if you’re going to be filming yourself. Equally the wonder-duo of gaffer tape and zip-ties can get a camera mounted in awkward but interesting positions. Watch: Coastal Crew’s Rake and Ride to see how varying the position of the camera makes for dramatic footage. 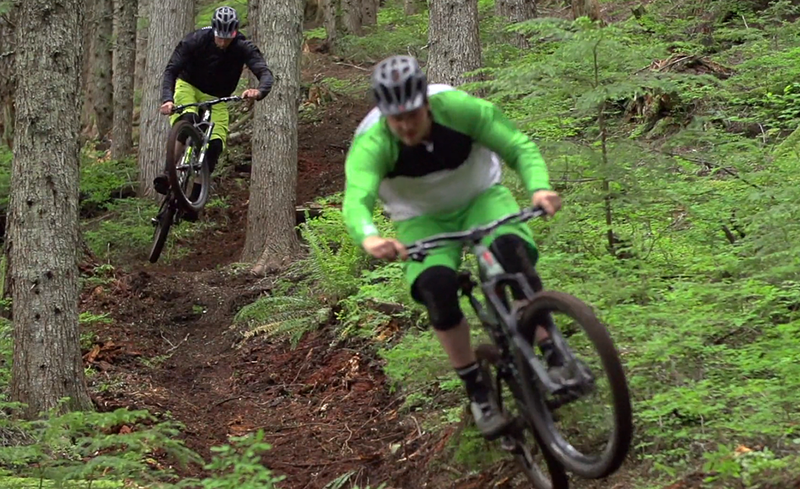 Think you’ve made a great mountain bike edit? Show us in the comments.